Spans one week. Calculations assume that the week starts on a Sunday. 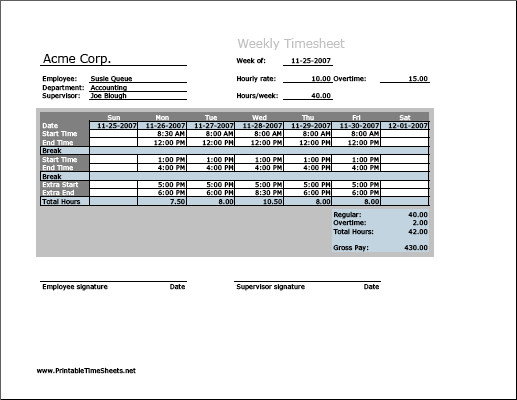 Overtime is calculated on a weekly basis; overtime rate is applied to hours in a given week that exceed the user-defined threshold for the week (e.g. over 40 hours).